Have you been looking for a natural remedy for soothing congestion, stuffy noses, and other ailments? 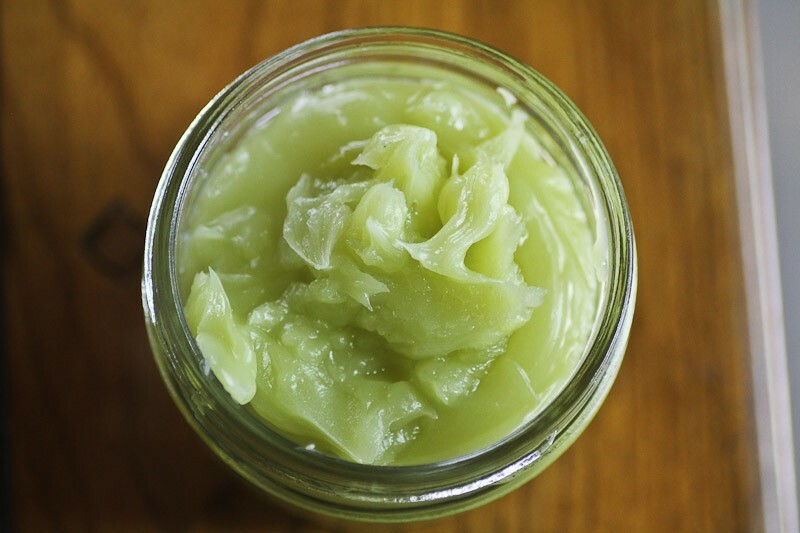 A replacement for that petroleum-based salve that you mom lovingly slathered on your chest when you were a child? 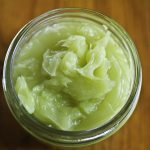 This natural homemade vaporub ointment is a quick and easy remedy that you can mix up in small batches. It provides that same warm and comforting experience from your childhood with beneficial ingredients including essential oils that are both antibacterial and antiviral. The recipe uses the healing power of four essentials oils: Eucalyptus, Peppermint, Lavender& Rosemary. I recommend that you use low heat when melting your carrier oils. 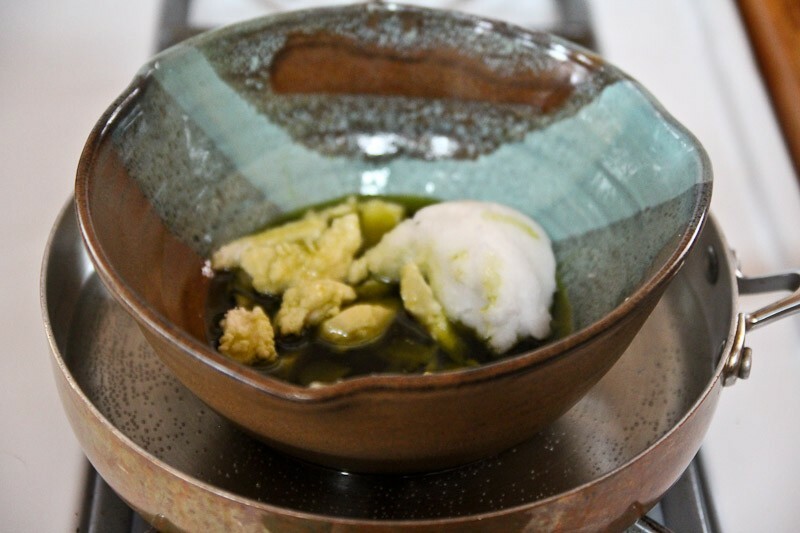 You want to dissolve the solids (beeswax, coconut oil and shea butter) but you do not want them to get overly hot. Heat will destroy some of the goodness in natural oils. Every time I get set up to make some homemade potions I remember that I meant to buy a double boiler. Although a double boiler would be nice, this heat proof bowl in water trick works just fine just as long as you are paying attention to it. A friend once told me about her grandmas trick for soothing colds. Slather the vaporub all over your feet and then put on a thick pair of socks. You’ll cough less and sleep better. It works! 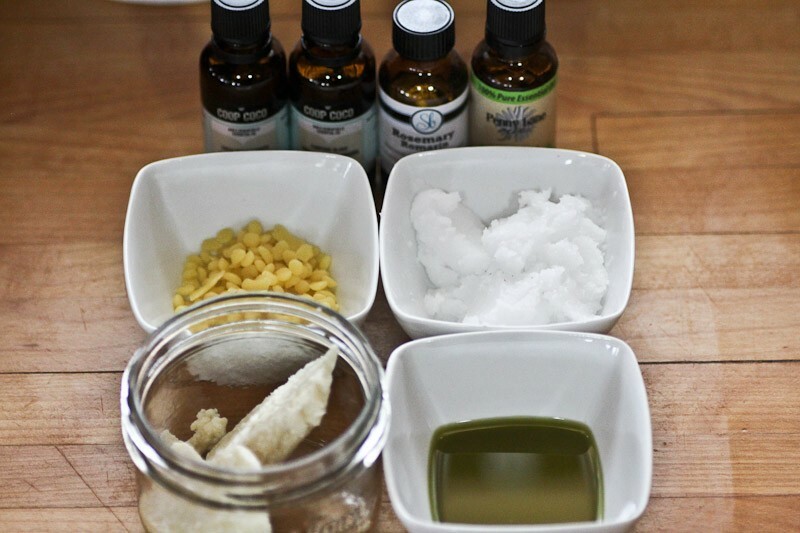 If you like this recipe you might also enjoy DIY Radiant Skin Serum and Herbal Infused Oils For Natural Skincare. Use a double boiler or fashion your own using a medium sized saucepan and heatproof bowl. 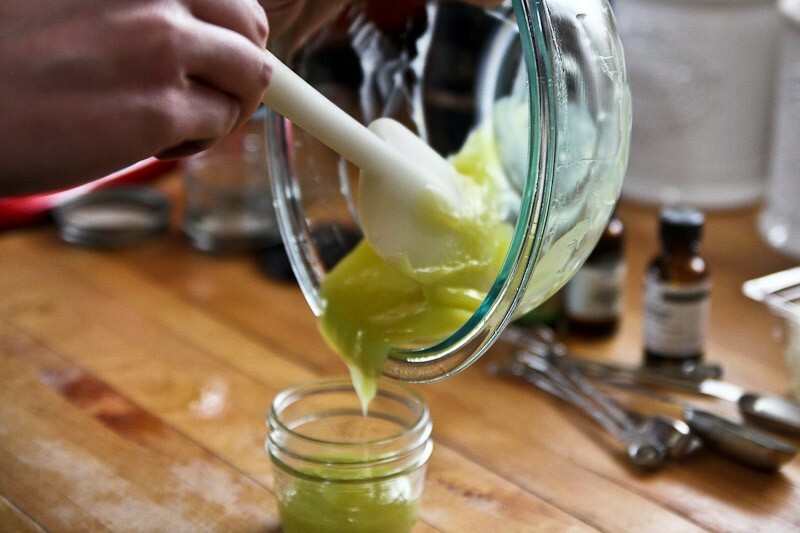 In the top of your double boiler (or In a heatproof glass bowl) add the coconut oil, shea butter, and beeswax. Melt oils and wax over VERY low heat, stirring to combine. Once the oils have melted remove from heat. Add the essential oils, stir well to combine. Pour the mixture into storage jars and let solidify before affixing the lids. If you don't like the green hue of this lotion simply replace the hemp oil with another type of oil (olive, sweet almond, jojoba etc). If you can’t find shea butter you could try substituting it with coconut oil, I have not tried this but I think it would work. oh and … shea butter is a an off-white fat extracted from the nut of the African shea tree. In the instructions you say about cocoa butter, but it is not in the ingredients. What’s the amount ? Hello Lia, apologies that was a typo. It should say shea butter. You can however substitute cocoa butter with shea at the same amount in the recipe.